Apple is looking to revive the idea of importing and selling refurbished iPhones in India as a possible condition of it starting local manufacturing in the country, a report said on Monday. The company is now claiming it will have the manufacturing infrastructure to meet quality standards, according to a Bloomberg source. The person noted that the idea is included in Apple's "wish list" of concessions, which also mentions waivers on import duties and even a 15-year tax holiday on imported parts and equipment. The new plan would allegedly meet environmental standards as well, and be open to third-party vetting. If Apple were to win permission to import refurb phones, it would mark a first for any electronics vendor in India. Apple's last attempt was turned down in May, with commerce and industry minister Nirmala Sitharaman saying that the government didn't want any used phones on sale, "however certified they may be." 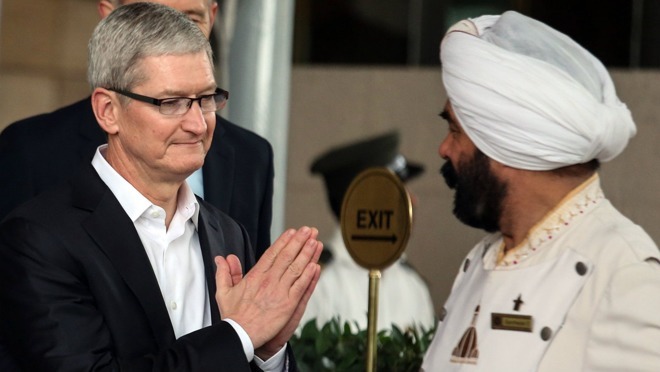 Both government officials and other businesses expressed concerns that allowing Apple and other vendors to import used phones would flood the market with cheap goods, and by extension undermine the government's "Make in India" program, designed to boost local manufacturing. For Apple, refurb phones might allow it to advance beyond its miniscule marketshare in the region. Though it does dominate the high-cost "premium" segment, it sold just 2.5 million phones in India during the whole of 2016, giving it a 2 percent share of the country's broader smartphone sector. The main issue is price. Most phones in India sell for under $200, putting even an iPhone SE out of the average person's range. To compensate, Apple has been keeping otherwise outdated iPhones on sale —some third-party stores are encouraging people to upgrade to 2013's iPhone 5s. If it can begin local manufacturing, Apple will at least be able to lower prices by virtue of avoiding a 12.5 percent import duty. The company's rumored Indian manufcturing partner, Wistron, could theoretically begin work as soon as April, depending on whether Apple gets government approval. That may be essential if Wistron is to contribute to 2017 iPhones, given that iPhone manufacturing starts months ahead of Apple's usual fall release dates.